RCBM offers comprehensive international tax services to both businesses and individuals from all over the globe. We work with foreign companies and individuals doing business in the U.S. as well as U.S. entities and American citizens doing business overseas. Our staff is fluent in both Spanish and English, making communication easy for all of our clients. RCBM will make sense of the complex international tax laws and explain how they can affect your business. Then we'll develop a plan to reduce taxes and improve profits by selecting the appropriate tax structure, taking advantage of foreign tax credits and more. We serve businesses in a wide range of industries, and we're noted for our strong commitment to integrity and our personalized financial guidance shaped around the needs of each client. We also offer expat and foreign national tax planning and compliance services for individuals. With our assistance, your international employees can reduce their taxes while complying with tax filing requirements and avoiding the likelihood of an audit. Contact us today at 972-478-4373 to schedule an appointment for a free initial consultation. RCBM is a new business related to RCBM Group, an accounting, audit, tax and business consulting firm based in Buenos Aires, Argentina. The partners have over 25 years’ experience in the field. RCBM Group was incorporated in 1998 and since then it has grown steadily on the basis of an intense activity in various business niches, new partners that have contributed their technical expertise in the different areas of specialization, and in the formation of a work team that is committed to the achievement of our objectives. Our firm built a successful record in providing business consulting to firms in Argentina who look to expand their horizons beyond borders and to foreign firms seeking opportunities in South America. Our great involvement in the activities of INTEGRA INTERNATIONAL, a global association of accounting, audit, tax and business consulting firms, has converted our firm into a regional leader and a usual contact when firms look for help in or information about Latin America. Más informaciónsobre nosotros enespañol. Two paradigms are widely spread among the business community and social organizations: that only a large consulting firm has skilled resources to provide knowledgeable advice or services to their clients and that only large corporations or not-for-profit organizations can afford this type of services. RCBM eliminates these misconceptions. We meld the experience held by large firms with the flexibility of solutions provided by mid-size firms and the close contact with owners and staff of an organization that small firms or sole practitioners may offer. On the other hand, RCBM provides affordable services by charging reasonable fees and maximizing the client’s cost/benefit equation. We will assist our clients and will work in a collaborative approach with their teams to help them accomplish their goals. We always strive to be proactive and innovative and to deliver our expertise and accountability to our clients: you may expect nothing more but nothing less. Call us soon at 972-478-4373. We’d love to have an opportunity to talk with you about our firm and what we can do for you. Oscar is co-founder of RCBM and Managing Partner and Chief Executive Officer of RCBM in Carrollton, TX. He is graduated from the School of Economics at the University of Buenos Aires (1979) and a licensed CPA in Argentina. In 2006 Oscar was admitted as a Certified Fraud Examiner by the Association of Certified Fraud Examiners (CFE) and in 2013 as a Certified Internal Control Auditor (CICA) by The Institute for Internal Controls, both in the United States. 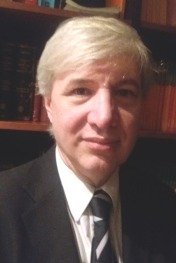 His professional experience was progressively developed in managerial positions at consumer products and industrial companies, subsidiaries of large U.S. corporations in Argentina, with highly successful record in audit, accounting and strategic planning areas. As Controller and Chief Financial Officer of multinational companies he was actively involved in international expansion projects and was in charge of start-ups and further oversight of international operations. 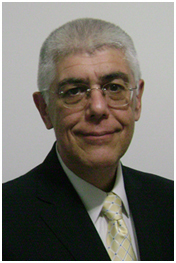 Gabriel is co-founder of RCBM Group and head of the General Tax Practice of RCBM in Buenos Aires, Argentina. He graduated from the School of Economics at the University of Buenos Aires (1987). He developed his professional career in the Audit and Tax Departments of KPMG Klynveld Peat Marwick Goerdeler, where he acquired additional competence in those areas. Gabriel has focused his career on tax planning and compliance and gained experience in preparing individual and corporate tax returns as well as representing clients before the IRS. His area of expertise include expatriate tax services and transfer pricing. 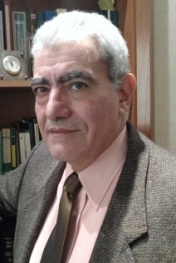 He is a member of different committees at the Buenos Aires Society of CPAs the Argentine Association of Fiscal Studies and the International Fiscal Association. Roberto is co-founder of RCBM Group and head of the Forensic Tax Practice of RCBM in Buenos Aires, Argentina. He is graduated from the School of Economics at the University of Buenos Aires (1979) and obtained a M. S. in Taxation at the same School in 1996. In federal and state tax debt collection matters, he has a large experience in serving individual taxpayers, Corporations, LLCs, Partnerships, and small businesses before the Collection and Examination Divisions of the tax authorities. He provides regular tax representation services to local subsidiaries of multinational corporations. Roberto has been speaker for over 20 years at different professional events organized by public and private organizations including universities and societies of CPA as well as a member of the Tax Advisory Council to the Senate in Argentina.